First I vectored a screenshot from episode 26 (but I changed the colors a bit so that it's brighter). Well, I hope you like it..
kyaaaa just perfect! aawesome! i was hopong someone would make a beautiful work with this one! thanks so much! Incredible! I love the brightened colours. Well done! The animation was finished in good condition. WAAAAA ......... you realised my dream! I luv this. Thanks for making this wallpaper! Love it~! 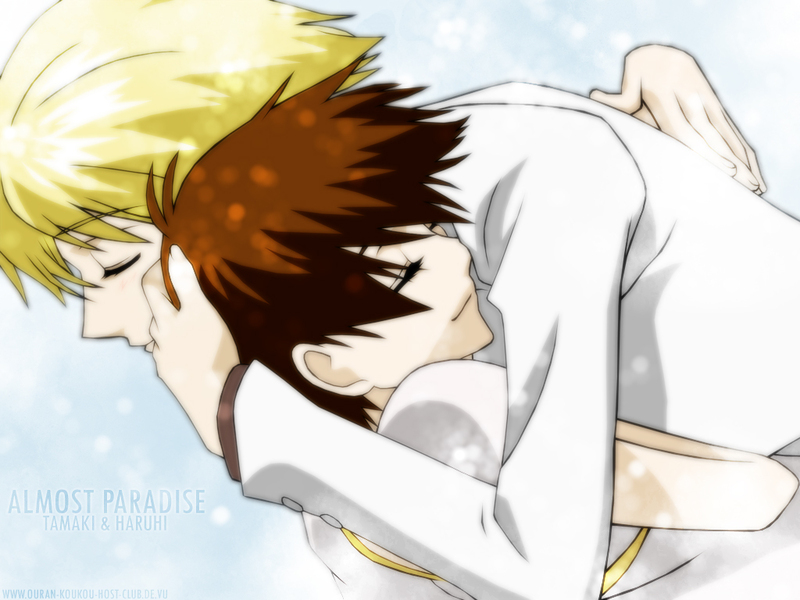 This scene's so "awwwwwwwww"
Haruhi & Tamiki are very very KAWAII! It's cute and yeah, it is similar ._. Gah a spoiler wallpaper XD I'm yet to watch ep 26! Still downloading it ^_^' Its really awesome! You did a great job! My second wall of Tamaki & Haruhi! UUU! OOO! GREAT WALL! ROMANTIC! CUTE! Great job with the vector of this. What a great shot to work on as well. Such a wonderful moment. oh how lovely wel done you it's so romantic. Awesome, i love this wallpaper, it's so sweet and i love the series too!